Anyone suffer from color blind? Well colorblind is not blind but merely color vision deficiency. Color blind is the inability or decreased ability to see color, or perceive color differences under normal lighting conditions. 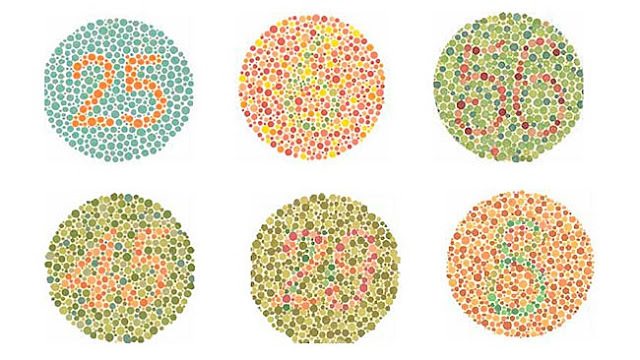 Color blindness can also be produced by physical or chemical damage to the eye, the optic nerve or parts of the brain. 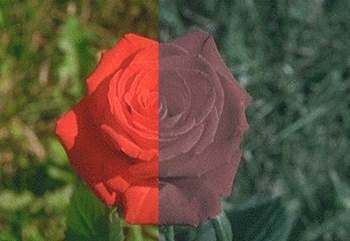 The most common color blindness or Color Vision Deficiency makes greens and reds look the same and about 1 in 12 men are affected. Color blindness can also be produced by physical or chemical damage to the eye, the optic nerve, or parts of the brain. For example, people with achromatopsia suffer from a completely different disorder, but are nevertheless unable to see colors. The color vision lens are available in either contact lenses or spectacles lenses that are individually prescribed for patients suffering from reading disorders commonly known as dyslexia and for people who suffer from color blindness. 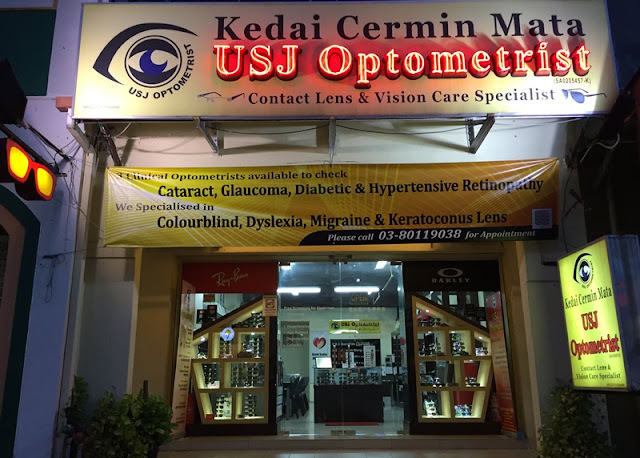 USJ Optometrist is specialized in prescribing them and distributor of this lens in Malaysia. This lens works by changing the light wavelength and level of each color going into the eye and helping to offer enhanced color perception and color discrimination, they find the brightness of all colors, even the colors they normally identify correctly, seem richer and more vivid. Colorblind Lens help patients to pass Ishihara color vision test, Farnsworth D-15 test, Pseudoisochromatic Plate (PIP) Color Vision Test and City University Color Vision Test. 28, Ground Floor, Jalan USJ 10/1E, Taipan, Subang Jaya, Selangor, Malaysia. Well, i have no choice but introduce this to my friend, he has this issue for couldn't differentiate green and orange, blue and purple. Glad there is someond to help them rectify their colour vision. I have a friend who is colour blind and he even confess before that he had problem distinguish red and green light when driving!! RM 3k++ for a pair, I bought and pass my medical test.